For visiting the city, the only bus route of interest is the no. 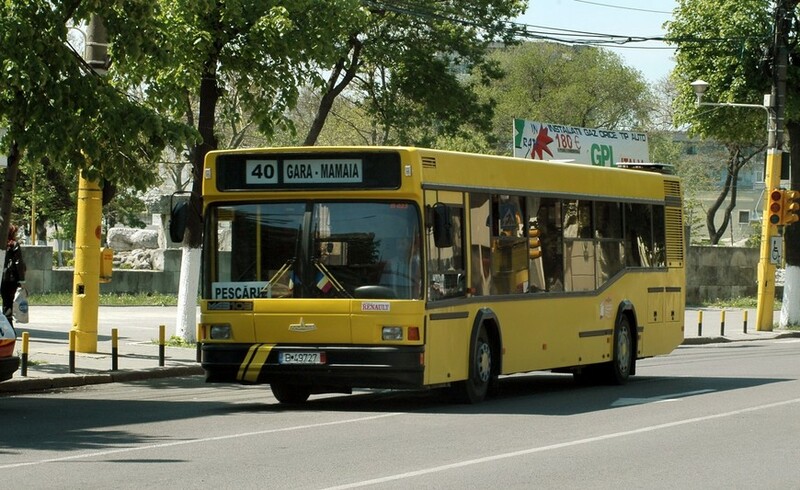 5-40, which runs from the railway station to the beginning of the Mamaia strip. The bus stops by the port (at "Republica"), the Natural Science Museum Complex (at "Delfinariu"), and for the pedestrian area where most attractions are, alight at "Centru" or "Fantasio." Tickets cost 1,5 lei and can be bought from the RATC kiosk. They must be stamped in the machines once on board. There is a fine of 100 lei if you are caught with no ticket, or an unstamped ticket. You can also pay for journeys by SMS; details are shown in all buses. Taxis are cheap in Constanta and better than buses for longer distances. Just make sure you take a taxi belonging to a trusted taxi company such as City Taxi (tel. 0241 933). If you want to go on to other villages, the main modes of transport are by train or by bus.